This event will recognise the achievements of our sailors and volunteers during 2015, at events organised by our own club and elsewhere. However first and foremost it is a social event and we would encourage all club members to come along. Could anyone who took home a trophy (or trophies) last year please bring them back as soon as possible so that we can organise engraving for 2015. The shinier they are when you return them the more grateful I will be. They can be left on the shelf above the sliding door in the bar area where the paddle is currently sitting along with some other trophies. The bent propeller (best disaster of 2015) – but make sure the victim has a good sense of humour! A big thank you goes to Norman Burns of Alexander Thomson Plumbing and Heating Contractors for sponsoring Youth Week again this year. Everyone will be receiving water bottles at the beginning of the week. Join the 2015 Bart’s Bash at DBSC on 20th September. The Bart’s Bash race will take place before usual Sunday racing. We are delighted to have been shortlisted again this year by RYA Scotland for their club of the year award. This is testament to the many loyal volunteers of all ages who work tirelessly to support the club each year. The winners will be announced at their annual Awards Dinner on 31 January, so fingers crossed. Come along for a fun filled 2 hours with music and games, face painting and glitter tattoos, balloon modelling, buffet and a visit from Frosty the Snowman. Some of our members recently participated in the RYA Laser Academies at DBSC. There are more sessions at various clubs next year. Our very own David Williams has been mingling with royalty recently. Dedicated volunteers from across the UK had their endeavours recognised by Her Royal Highness The Princess Royal at the annual RYA Volunteer Awards in London last week (Friday 21 November). Some 47 winners were honoured for their exceptional generosity and dedication to boating at the awards ceremony and exclusive luncheon held at One Great George Street, Westminster, where they were presented with a commemorative medallion and certificate. The RYA Volunteer Awards were divided into four categories: the RYA Awards, RYA Community Awards, Francis Elkin Award and the RYA Family Award. The winners of the RYA Awards were Tony Saltonstall, Josie Gentry, Howard Nelson, Robert Russell (OBE) and David Williams, recognising their individual commitment and service to boating and to the RYA at a regional or national level. Dalgety Bay Sailing Club would like to congratulate David in receiving this award, David is not just a hero for RYA but is dedicated volunteer at Dalgety Bay Sailing Club over many years currently holding the position of Treasurer. He is a great asset for DBSC having someone of his experience and passion for sailing. Updated shorebased course information, which may be of interest to members. A few spaces are left on the First Aid and Diesel Engine course in December. GIVE US A CALL IF YOU WISH TO BOOK OR REQUIRE ANY FURTHER INFORMATION. Gift Vouchers are available. If you are looking for something to give your family and friends for Christmas that is a bit different, then why not opt for a voucher for a specific course or we can do it for any monetary value. Hi All – please be aware that Strathclyde Loch Sailing Clubs annual Christmas Regatta is coming up fast – This year we are having it on Sunday December 21st. We are planning for an ice free loch with fair and steady breeze providing ideal racing conditions. Great prizes and refreshment will be available and we hope to see as many there as possible. If the forecast is OK, we would like to recover the marks on Sunday 14th December – meet at the club about 0930. – The tractor driving is all being done by one or two individuals who would greatly appreciate someone else stepping in to help. Even if you can only help with the launching it would be a great help. As yet no volunteers have come forward for rescue duties. Ideally we need 2 drivers and 2 assistants. If you’re able to volunteer before Saturday racing please update Dutyman. 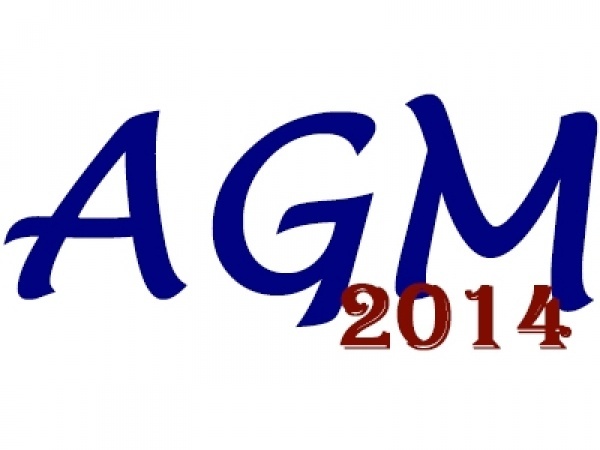 A quick reminder to all voting members about this weeks Annual General Meeting on Thursday 13th. Please take the time to attend, as it is vital we have a quorum of voting members in attendance in order for the meeting to occur. Without the meeting, we will be faced with a Board of only three people and budgets / membership fee levels not being agreed for the coming season. As we have indicated before, we will be taking those in attendance through options available regarding membership fees and the required levels to sustain our current bar operation. The Board are very keen for Social Members to have their opinion heard on these options. A voting and a non voting member have brought to The Boards attention we have a problem with non-voting members attending our AGM’s, as per Rule 4.3 – note, this is all non-voting members, not just Social. This rule exists because when we incorporated, we adopted the English Rugby template for a Limited Company, layering in our old constitution and rules. The current Rule is not in keeping with the spirit of our club and The Board have indicated they will review and update, as we do all the time for Rules and Articles, and did in the past for The Constitution. However, that cannot happen till our next AGM, so we have taken advice on how to have Social Members views heard. The approach we can follow is have the Chair of the AGM call an adjournment and invite non-voting Members into the room to go over the situation and the options available to members. This is what we will do, but we will have to ask non-voting Members to wait till the AGM is opened, in order that the Chair can then immediately call an adjournment, in order that non-voting members can be invited into the room. After this adjournment, when non-voting members leave the meeting, the issued agenda will recommence. Sorry this such a long explanation, but hopefully all can see we are doing all we can to hear the views of Social members on this matter, while still remaining within the Rules and Articles of our club, in order that nobody can dispute the AGM as flawed in it’s execution. RC Sail – Richard Haydock, currently in post, has offered himself for re-election and has been dually nominated. No other nominations received. RC Social – Lee Stewart, currently in post, has offered herself for re-election and has been dually nominated. No other nominations received. RC Shore – Ruary Williamson, currently in post, has offered himself for re-election and has been dually nominated. No other nominations received. It is just about that time of year again when we all start Christmas shopping. A lot of people now do that online, so we would like to remind you all about the Easy Fund Raising, where website purchases from some retailers / sites can result in a donation to the Sailing Club. You just need to register and set up on your computer browser to include the add on, which will prompt you to activate a donation on purchases when you visit the site. Please do take a look, as every penny raised through means likes this helps us maintain and develop our sailing club. The Easy Fund Raising app for iPad and iPhone is here! Just in time for all your Christmas shopping http://www.easyfundraising.org.uk/raise-more/easyfundraising-app/. Tickets £7.50 per head (under 12s free, under 18s £3) – includes glass of wine on arrival, buffet, entertainment and free entry into prize draw. As the prize giving approaches we are once again asking for nominations for the “Burnside Memorial Annual Award” This is an award which commemorates the late Alastair Burnside and his energy / enthusiasm for getting things done. See attached Nomination form for more information. Please feel free to nominate your fellow members for this prestigious award. The only people not eligible for nomination are those who are current Board members OR those who hold Life membership. In addition to this the winner of the award will automatically be nominated on behalf of DBSC for the RYA Volunteer of the Year Award. Anyone wishing to see the full procedure and selection committee notes, please refer to the club website. Nominations to the Rear Commodore Sail by 5th November please.